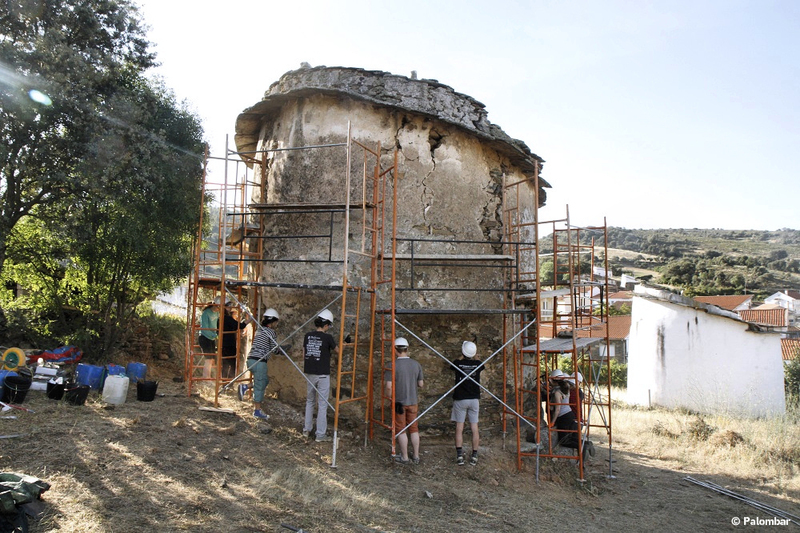 Palombar was created in 2000 with the objective to reverse the abandonment cycle of the traditional dovecotes of the Northeast of Portugal, developing actions of conservation and use of these constructions, in order to safeguard the unique architectural, ecological and cultural heritage associated to it. Noting the strong link between the restoration of built heritage and conservation of nature, in 2013 the association decided to change its statutes, reinforcing the symbiosis between these two pillars, currently presenting the following mission: To preserve the natural and built heritage and giving it continuity though the conservation of resources and the transmission of knowledge using a pedagogical and cooperative approach that is intended to result in the enrichment of individuals and in the dynamization of the rural world. In this sense the main objectives of Palombar are in fact the conservation of agricultural, forest and wild ecosystems, as well as the preservation of the built heritage and its traditional construction techniques. Through continuous action on several fronts, we aim to boost rural areas, often in a state of abandonment, favouring not only the immediate intervention on the ground, but also the transmission of knowledge that has guided the sustainable management of the landscape by the populations for centuries. 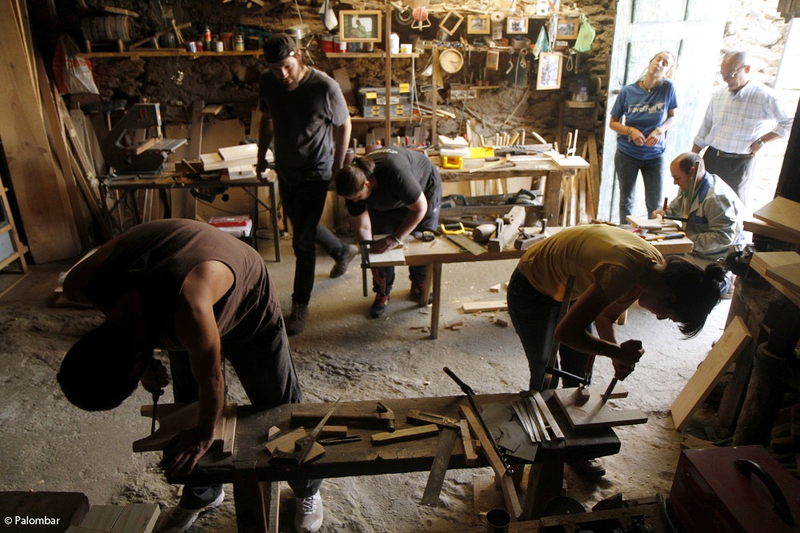 Our method is to carry out a direct and practical intervention in the territory and to adopt an inclusive pedagogical approach, since we believe that awareness-raising, transmission of knowledge and creation of partnerships are key factors to succeed long-term in the conservation of natural and cultural heritage. Palombar has a multidisciplinary team that enables and facilitates an integrated intervention through the articulation of its different training and professional experience. We are a group of 8 collaborators, with specializations in different areas from biology, veterinary, forest engineering, social psychology, organic farming, having experience in both the intervention and research areas. Having all these various disciplines for the achievement of our objective - Nature Conservation and Rural Heritage - makes it possible to do a more adapted work to the real needs which are our focus. Plants, animals and people cohabit in the same space, living in constant relation, reason why it is fundamental an understanding of all the parties involved in this mosaic and their interactions in order to be able to intervene effectively. In addition to this team of professionals we have the privilege to count on the collaboration, in the short and long term, of trainees and volunteers, both of Portuguese origin and other nationalities. With regard to Internships, we have received international internships from the civic service of countries such as France and Italy, as well as national pedagogical internships, both in vocational and university education. As for volunteering, as Palombar is an accredited entity for the European Volunteer Service (EVS) as a host organization, we also count on an extension of our human resources, admitting international volunteers for periods of time of at least 6 to 12 months. In addition, we also receive occasional volunteers who contribute to the development of more general activities of the association, as well as to the implementation of more specific actions such as participation in International Voluntary Workplaces (so far, we have organized 51 IVW) for the restoration of rural heritage and conservation of the region's natural and semi-natural habitats, which last for about two weeks. - Use and sharing of traditional and sustainable building techniques. - The integration, since 2012, of the Nordeste team - Group for the Promotion of Sustainable Development, that has been implementing the Compensatory Measures of the Baixo Sabor Hydroelectric Plant, financed by EDP. 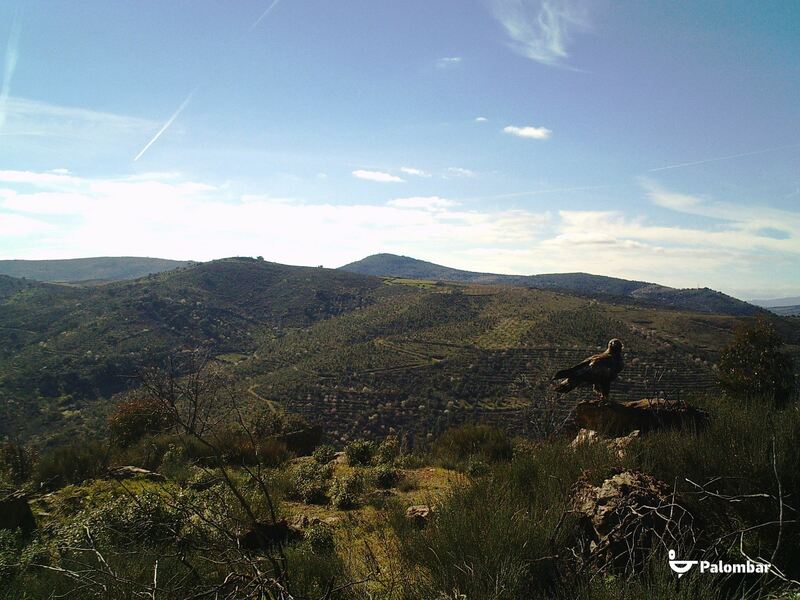 - Promoting the LIFE Rupis project since 2015, in which Palombar participates as a partner in strengthening the populations of the Egyptian vulture and Bonelli's eagle in the trans-border Douro. - Training courses on different themes related to traditional construction techniques (such as: construction in earth - septum, adobe and plaster, and paint and plastering with lime) as well as in other areas more linked and specific in the field of conservation (such as: introduction course to the screening and photo-trapping of wildlife, observation and identification of avifauna, etc.) The target audience varies from school groups from the age of 12 to professionals, and the courses have a duration between 1 and 5 days. In 2002, the Association implemented the Palombar project - SP2.P5 / 02 - Recovery and Appreciation of Traditional Pigeons, promoted by CORANE in the framework of Interreg III A Cross-Border Cooperation. In 2007, it recovered 5 traditional pigeon houses under the Compensatory Measures of the Mogadouro - Valeira Line, financed by REN. 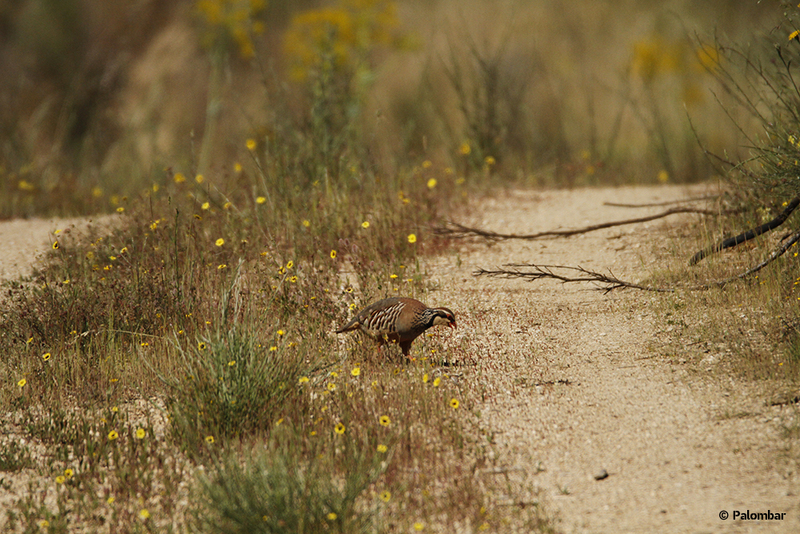 Between 2007 and 2009, it was one of six local associations involved in the Emergency Plan for the Recovery of Three Species of Riparian Birds in the International Douro Natural Park (PEAR).